The Royal Caledonian Horticultural Society, or the ‘Caley’ as it’s better known these days, was set up in 1809 as a platform for gardeners, horticulturalists and plant enthusiasts to share learning and best practice throughout Scotland. Today, the Caley aims to inspire, encourage and improve the science and practice of horticulture and to advance education in gardening for the public benefit. It’s on that note that the Caley is launching a new series of Autumn lunchtime lectures, which will be held in various places throughout the country. 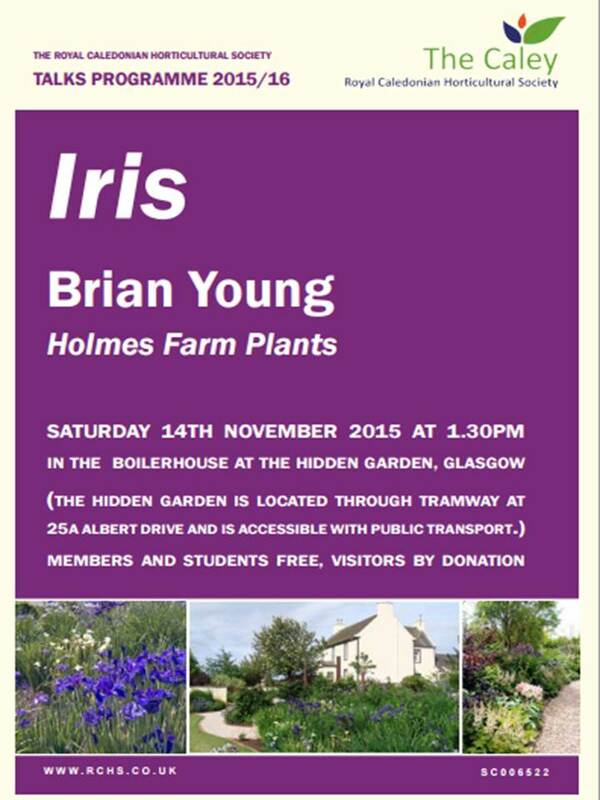 These will begin on Saturday 14 November at 1.30pm with a talk at the Hidden Gardens in Glasgow with self-confessed plantaholic, Brian Young, from Holmes Farm Plants in Ayrshire. The event is free for members, and visitors are asked to pay a donation. We look forward to seeing you there! Everyone’s welcome – from amateurs to professionals. A small nursery run by a confirmed plantaholic. Rare and newly released plants along with old fashion favourites covering alpines, bulbs, perennials and shrubs. Mature examples of many of the plants grown can be seen growing in the garden. Next Post Enthusiastic gardeners, fear not! These topics are so consnfiug but this helped me get the job done.